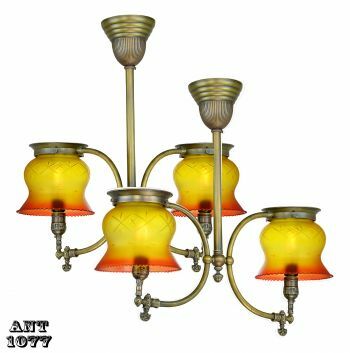 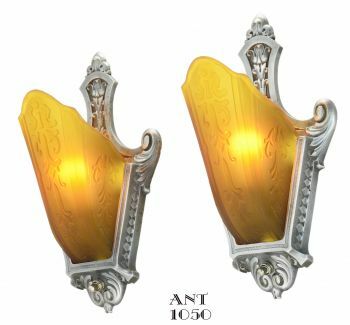 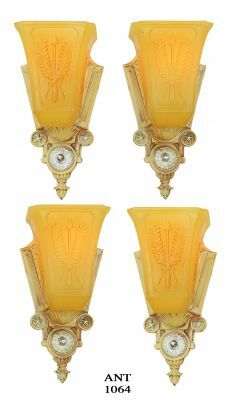 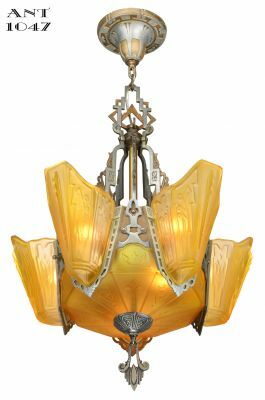 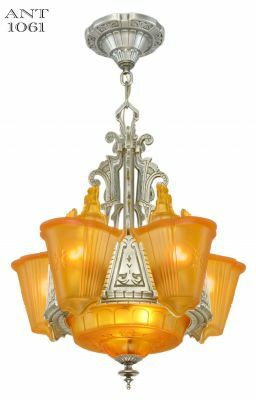 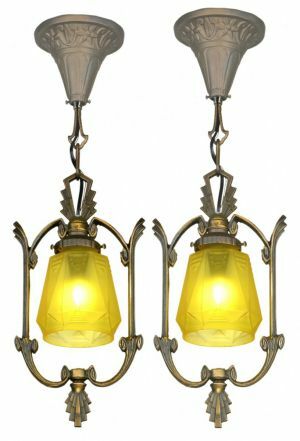 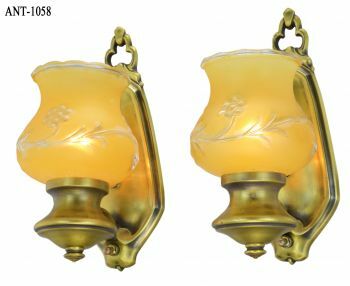 Pair of nice sconces with square antique amber shades. 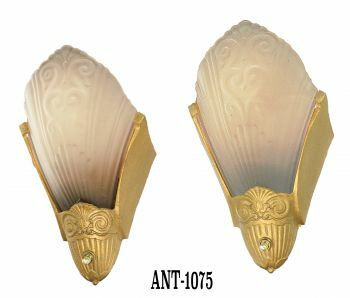 Cast nicely shaped backplates with a nice pewter finish so typical of the Edwardian era design. 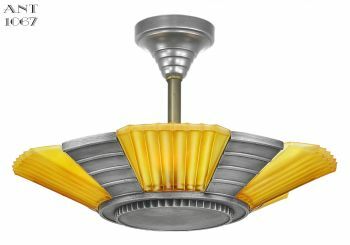 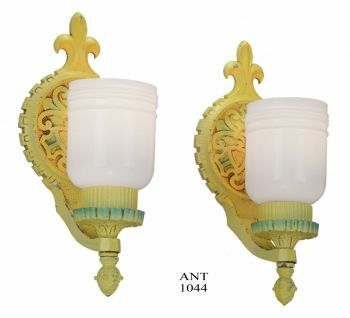 The sconces have been re-wired in our UL shop to accept 100 watt bulbs. 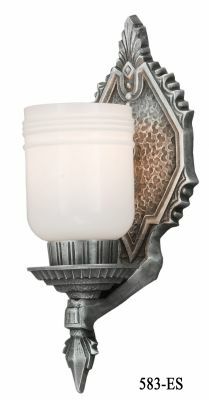 There is also a rotary on/off switch added to each sconce. 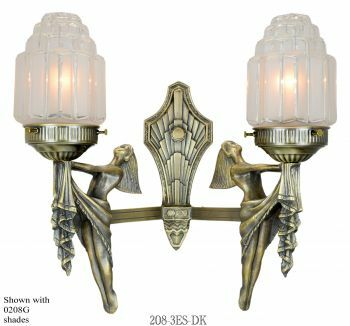 The sconces mount with a center mounting nut to a crossbar which is supplied. 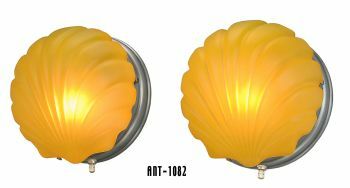 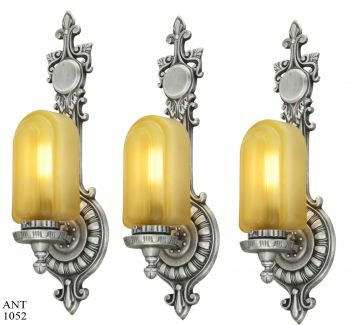 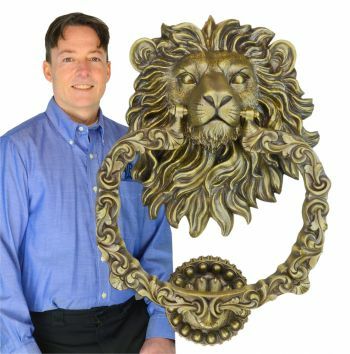 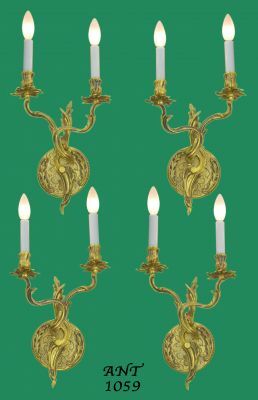 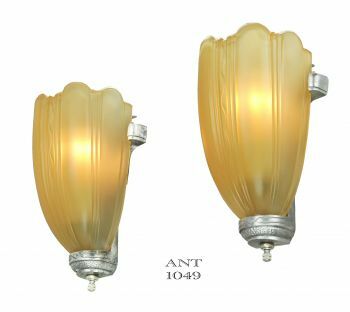 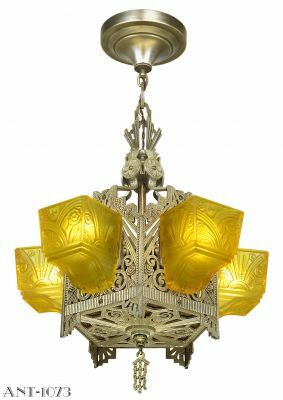 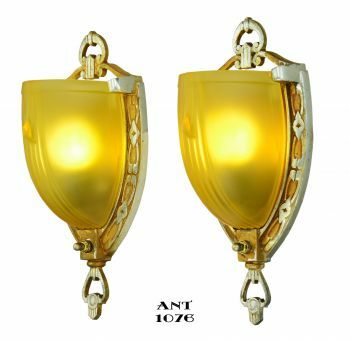 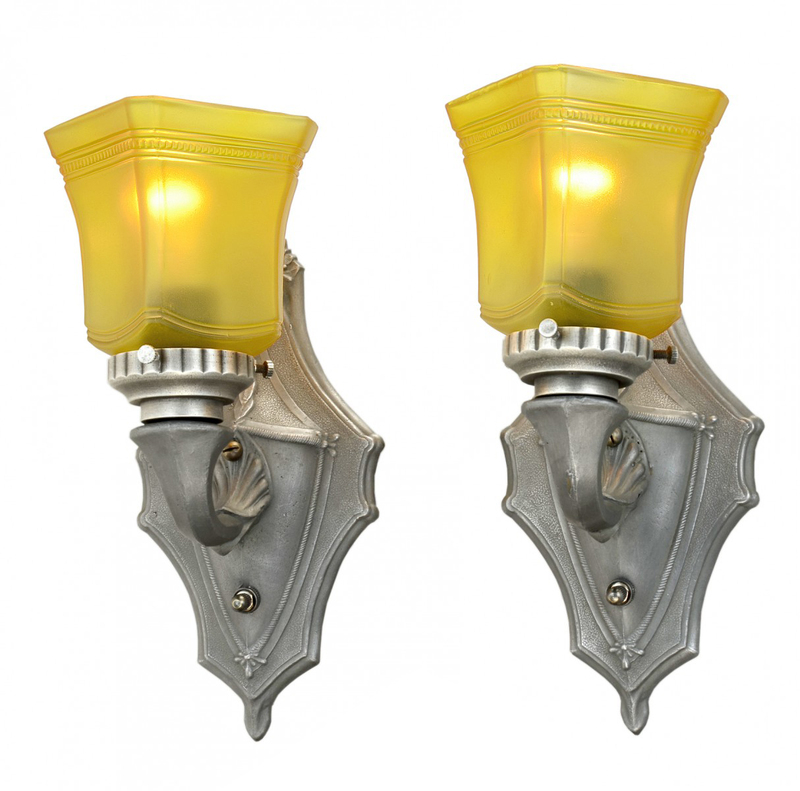 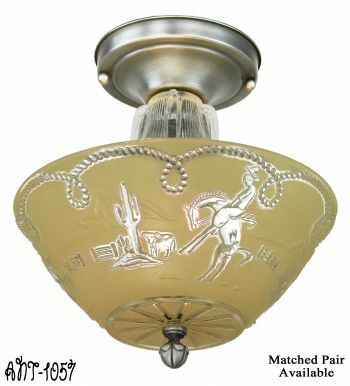 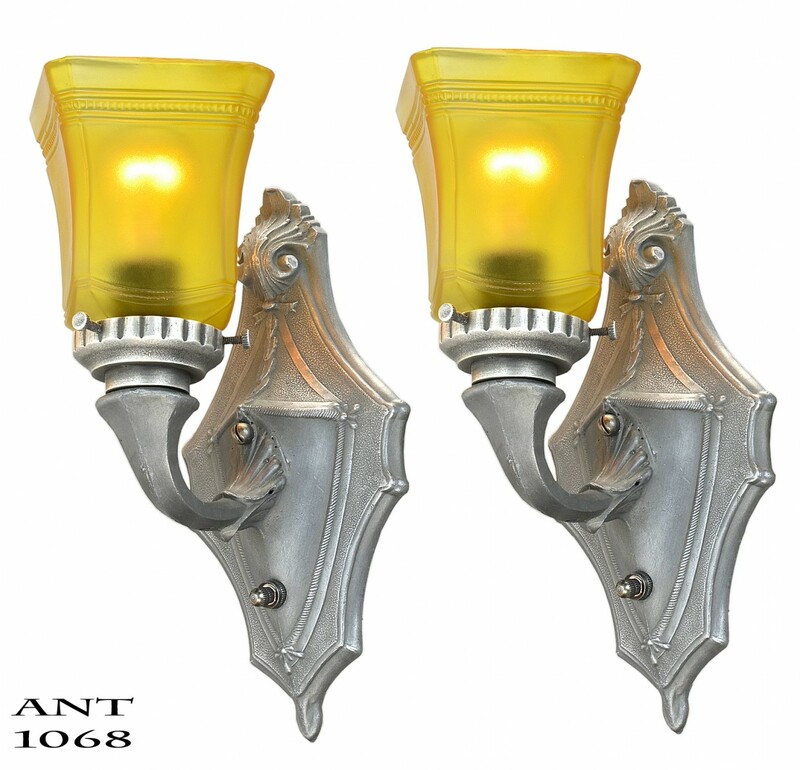 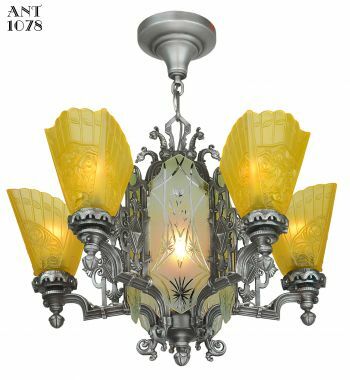 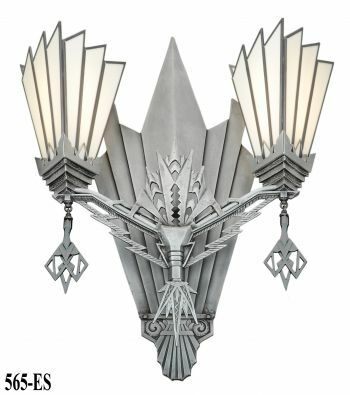 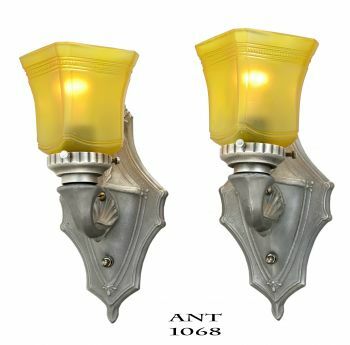 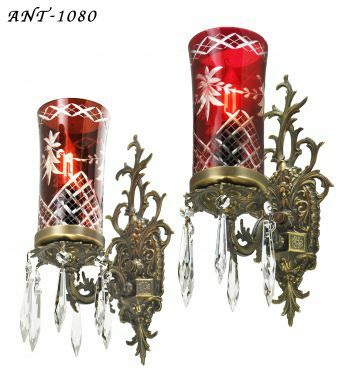 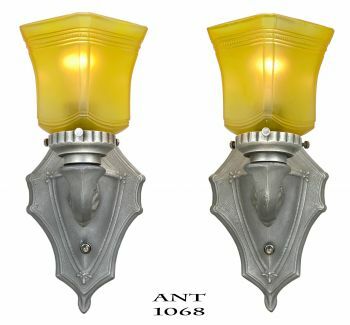 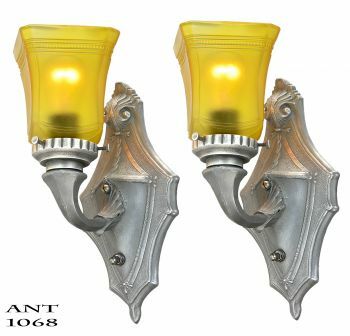 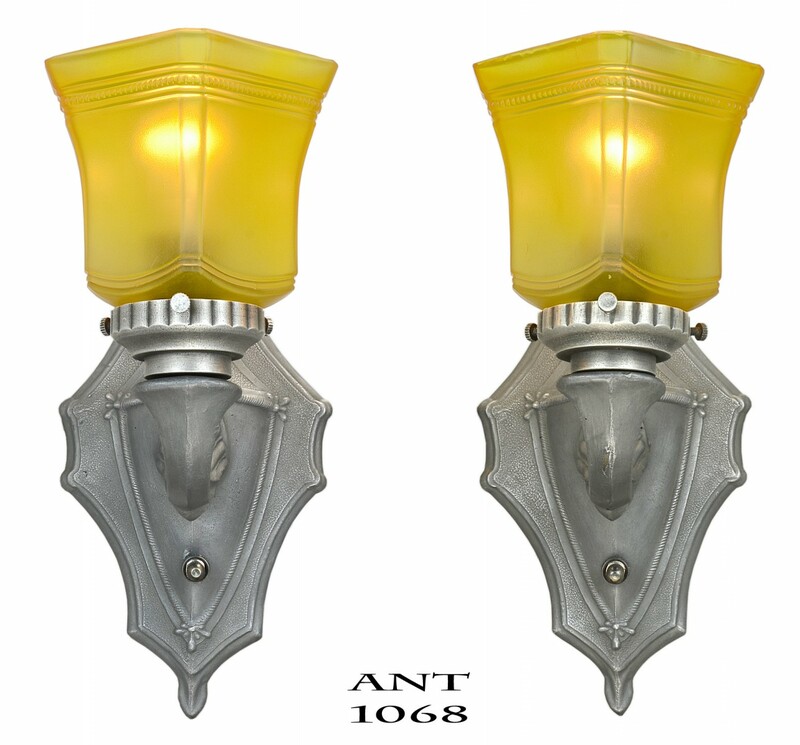 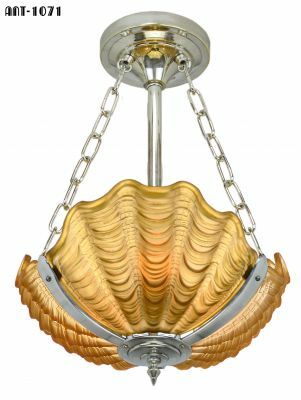 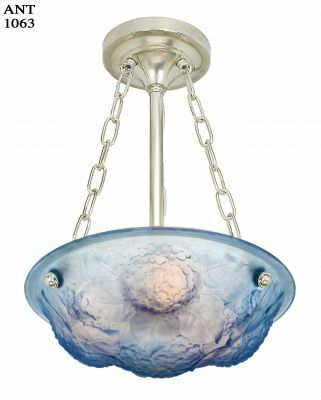 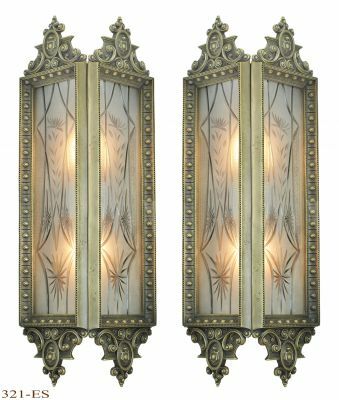 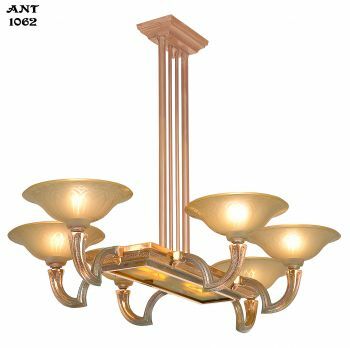 Price for the complete PAIR of sconces including the nice glass shades: $395.00 plus shipping.